This is an example of an incomplete 2nd-grade book review. Snowflake Bentley is by Jacqueline Briggs martin. I like books like this becouse they teach you things. Snowflake Bentley by Thoughtful Learning is licensed under a Creative Commons Attribution-NonCommercial-ShareAlike 4.0 International License. 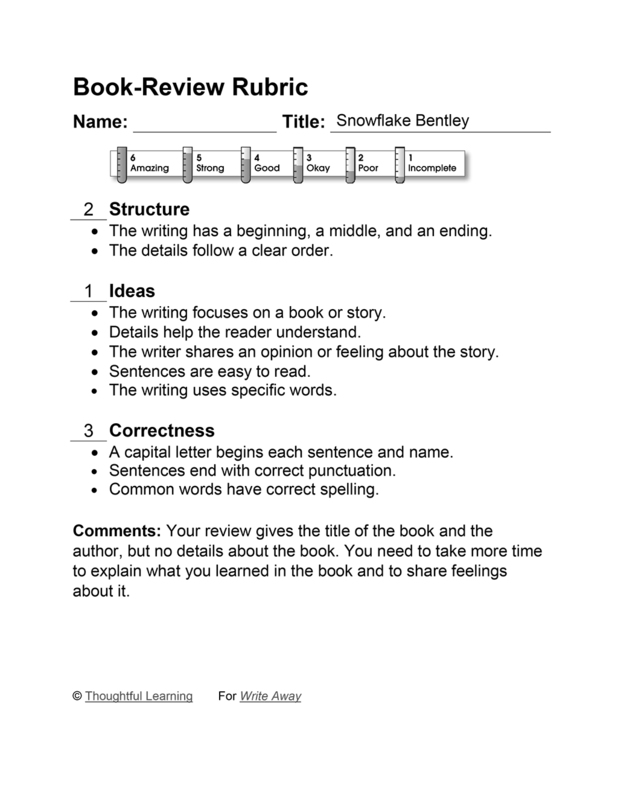 Based on a work at k12.thoughtfullearning.com/assessmentmodels/snowflake-bentley.